1. Act according to your ability. Patients have heart disease, hypertension, acute and chronic bronchitis, emphysema, nephritis, pulmonary tuberculosis, fever, and other diseases should not climb. 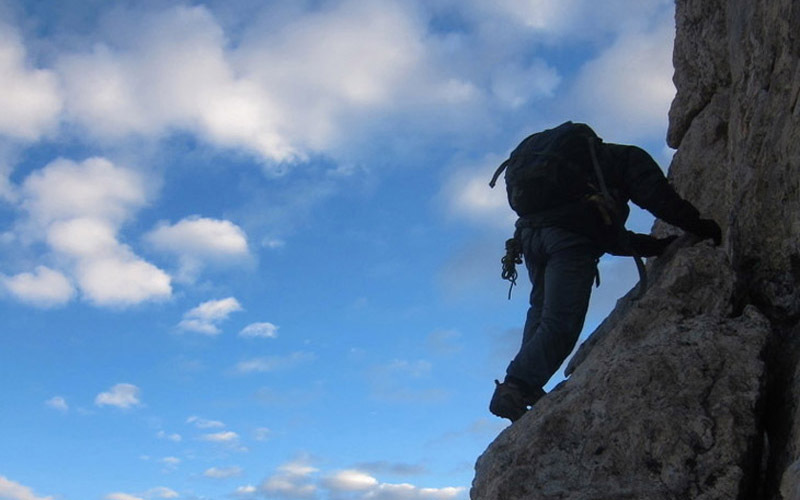 You should consider the physical strength and physical quality before climbing. 2. Avoid falling and getting hurt. Mountains have lush trees, and the air is moist, so the ground is slippery. Therefore, you must wear skidproof shoes before climbing mountains, such as travel shoes, sport shoes, deep tooth rubber soled shoes etc. 3. Avoid catching a cold. The top of the hill has much fog, and the weather becomes protean. In this climate, climbing to the top of the hill, if you don’t take clothes enough, you will be easy to catch a cold. 4. Avoid drinking and smoking. When people climb mountains, the heartbeat will accelerate; blood pressure and oxygen consumption will increase, while the alcohol into the body will accelerate heartbeat and increase blood pressure more, which greatly increase the burden on the heart, decrease cardiac function and weaken the ability of physical activity. 5. Take some commonly used drugs for emergencies.